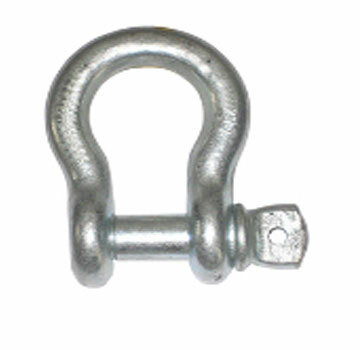 PRODUCT: #SPG716 7/16" FORGED-STEEL SCREW-PIN ANCHOR SHACKLE, 1/2" Pin Diameter X 2-15/16", 3000 lb. capacity. Price/50. Use CAUTION w hen lifting. Any angle beyond vertical (zero degree) w ill reduce the rated capacity. Safety factor is 2X the Rated Capacity. Minimum breaking strength is 6X Rated Capacity.